Synopsis: A haunting tale of family, history, regrets and shame. The Booth family was America’s greatest acting clan. Generations of Booth sons tread the boards of American stages garnering great acclaim and riches until the youngest and arguably most famous of them all, John Wilkes, turned the country upside down. 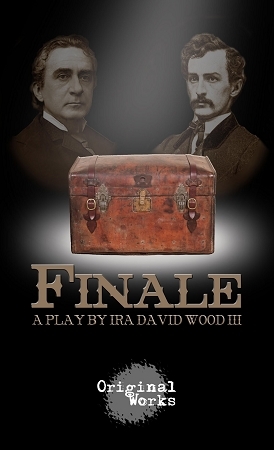 Eight years after the assassination of President Lincoln, Edwin Booth returns to his family’s theatre in New York to sort through his younger brother’s storage trunk which the government has recently returned. Ghostly memories of his father and brother appear to him as he struggles to rectify issues that have plagued his family name since that fateful night at Ford’s Theater.